4. My Master account isn’t interested in kiddy music but because we do listen to kiddy music on Sonos and Squeezebox, the Flow will be affected by and ruin it. I also agree with this - I don't like the one email/one password for every family member and feel it would be much better if each family member could have their own email and password log in. I join to this suggestion too! Please allow use separate logins for each family user! I would love this too. Feels weird sharing my login details like that. Yes, main problem is that all family must use one account (enter my email and my password instead of his own), so they can't use 'forgot password' feature because mail will be sent to my email account, and login via oauth (facebook, google) too. Please give ability to create multiple logins for family accounts! why complicate everything so much? I'm not saying simple like 123 but just something your all your family will know - e..g name of your pet or kids school etc. All descibed solutions are only not-so-good workarounds for main problem. Family users want to have separate accounts, not one account with 5 profiles! What about social functions like oauth, sharing in facebook, twitter, lastfm, g+, email notifications, etc - all family must use one social account? Erm... well when a family member hits Share (e.g. android phone/twitter) - it opens their twitter app with the link in there? so they are sharing on their own social media? Of course not. You're right . Just for the moment, I think that social functions - such as "share" - are only available inside Deezer. Here is "Alerts & sharing" interface for other family accounts: https://i.imgur.com/JSjv3Cy.png - where is 'Social music' and 'Send me' blocks? I see what you mean! I think it just needs the family profile page tweaking but no need for separate log ins . Other companies e.g. I have sky sports at home, if you want to watch it on your mobile it's a family log in. I think it's to stop people giving out spare profiles to anybody (and not family members). About separate logins - it's too difficult to add 'email+password' pair to family subprofiles linked to main family login in Deezer database? This will close most of claims for family subaccounts. I have to say Spotify solved this in an elegant way. Each family member has it's own account and you just need to invite the member to be part of the family. No need to know aboit the master account. Whish this would be same with Deezer. I've recently subscribed to deezer family and already found a downside. Everytime my family members want to use deezer on a new device, they have to login with my email and password and they can't just use their own google accounts, which would make it a lot easier. This also results in the next issue, which is the sharing possibility for these accounts. While the main account can still use last.fm and get customized emails, the secundary accounts can just use basic functionality provided by deezer (they can't connect to last.fm and get customized emails). I'd love it if deezer would add this little bit of personalization to secundary family profiles. 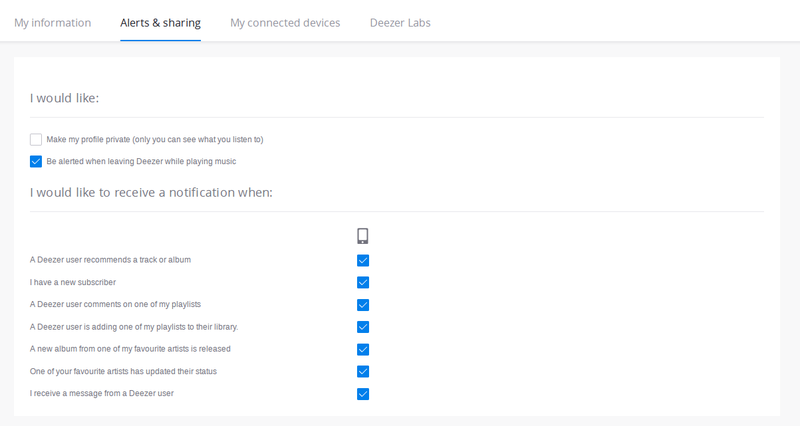 As a software developer and architect for 20 years in business now, I am more than curious about how Deezer seems to have implemented the Deezer Family Subscription Model. After checking the model out, for my girl friend, and reading https:// https://support.deezer.com/hc/en-gb/articles/115002459285-Deezer-Family it was clear to me that it has a big design issue. As a fan of Deezer I have to write my thought about that. If a customer already has a "account" and so also a "profile" he can't just join his family. For such a operation the profile has to relinked to a different account. 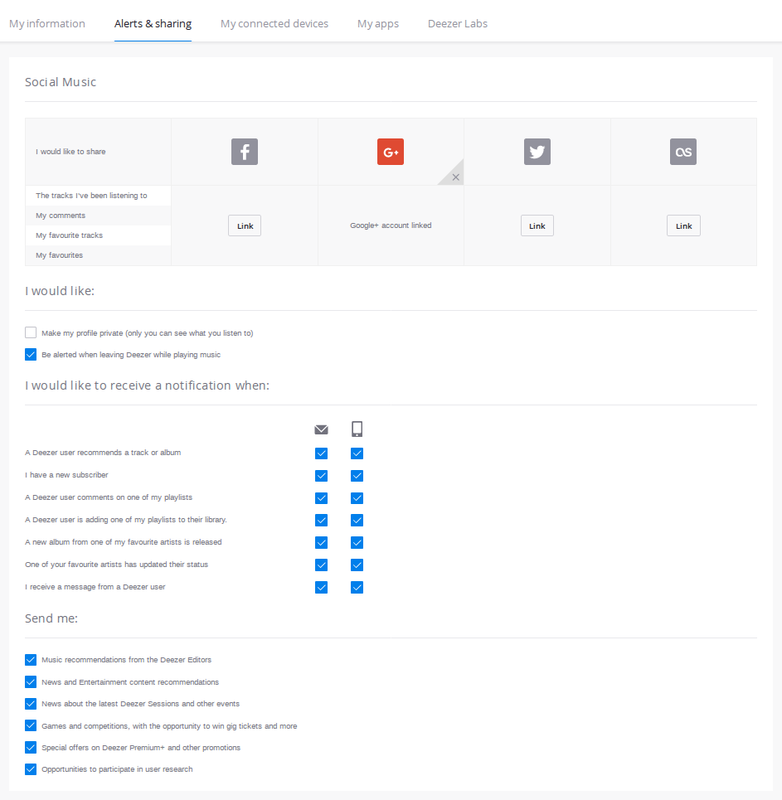 It seams you do not have implemented such a operation, because you request your user to create a new profile and "contact our support team and we can help you transfer your favorites.". So possibly some data is lost within such a "transfer". And its some work for the Deezer support. If the customer want to leave the family, he can't do it. For such a operation the profile has to be relinked to a then new account. It seams such a operation is not existing, because you write "profiles will be inaccessible until your re-subscribe" and that's it. By your current model a customer possibly have multiple profiles. If he want to leave a family with his secondary profile and want to continue with his original "main profile" from his "main account" the profiles have to be merged. Such a operation is nearly impossible to create, because likes and unlikes of titles can't be merged without conflicts and a complex conflicts resolving method and user interface. I don't see how someone can keep is "profile" name currently if he wants to move between family and regular subscription. Every family member need physical "access" to the person with the main profile / account holder if he wants to login to his profile. Physical because of course nobody should never give credentials to some other person. Even family members. If I understand this model correctly, every "device" logged in has access to every profile. So Deezer is no "personal" experience anymore? I enforce to share all favs and so one? Choosing the wrong profile confuses other family members? All existing devices have to implement the profile feature and have to know about profiles. Even all this is only created to handle subscription and so only because of payment stuff. By creating this profile architecture you moved all this to the device which is only responsible for playing music. This creates a lot of needed work without any visible benefit to just have multiple accounts. As I see this is a issue for at least Sonos devices and you write "At the moment other systems can only log in to the Master Account" so nobody implemented it or even the API can't handle it. Sonos allows using multiple accounts since 2014 because its so easy to do. It seams they have changed nothing to support s*****y family accounts, because it is just transparent to them. it could be harder to share such profiles/accounts with non-family members. But why not display "payed by family leader " in the profile? It needs more criminal energy if everybody can see it. kids age restriction. But why not just add a flag for that you can only change if you pay yourself. Every kid could create a Deezer free account. So its only about if someone want to pay for FSK12 or FSK16/18 for an other account. Keep in mind that all this creates so much problems and restrictions that maybe nobody wants to use Deezer for his family. Maybe you can explain why you choose this way to me. Of course also via personal message. Of course I can have missed something here. Currently I don't see how to use a Family subscription without leaving Deezer. Now it's getting Christmas, my daughters will have an new SONOS system to listen to their DEEZER playlists. But it doesn't work with the family Account. So please DEEZER... Make it possible QUICKLY. Shouldn't be that complicated. Or please intensify your work together with the SONOS app programmers to include functions to choose the right account. Otherwise I will very likely cancel deezer and change to Spotify. Fully support this! Family profiles should be more personal and private. Everything else about Deezer is great it's just this small thing that's preventing me, and I'm sure a few others, in taking a Family Plan. I've also posted about this issue over here in which I suggested a PIN/password protection for family profiles. Hopefully we'll see some resolution to this. Hm, I have bought the family plan and read this only afterward. Damn, I don’t want to share passwords! "As I see this is a issue for at least Sonos devices and you write "At the moment other systems can only log in to the Master Account" so nobody implemented it or even the API can't handle it"
Exactly. What's ridiculous is that the API can't handle profiles, therefore lots of uses of your legitimate (and paid) family profile are prevented (I, for example, would use it on a Logitech Media Server / Squeezelite system, but can't, because only the master account can be used). More ridiculously, Deezer has recently forced all the plugins for Mopidy (some of which could actually access secondary profiles) to be removed from GitHub, so the only way I had to listen to my music using my Raspberry Pi is now gone. Deezer is a great service, but it seems like they don't really treat Deezer Family members like legitimate ones.